Directions: From the Kona International Airport take Highway 19 north up the coast – turn onto Highway 270 to complete the coast route at the northern tip of the island. 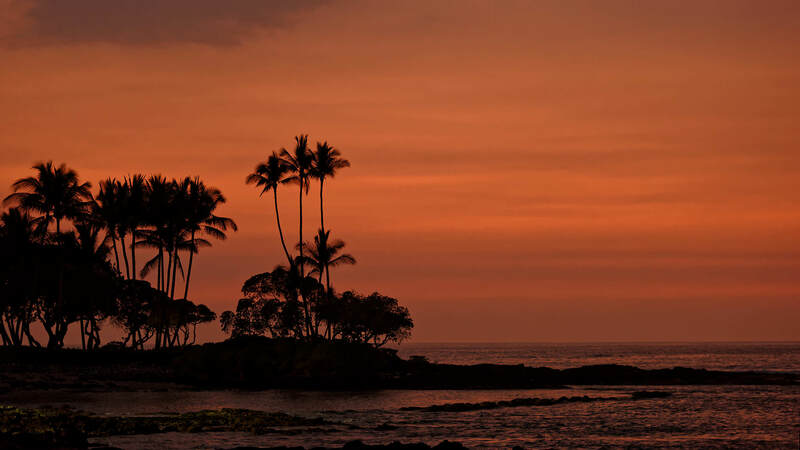 Dotted with resorts and small towns the Kohala Coast has everything for the vacationer and the photographer. 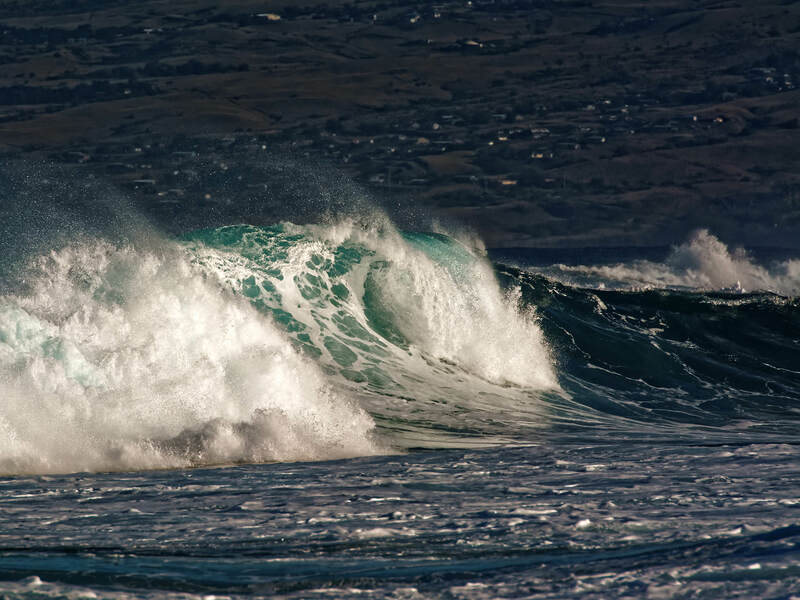 The ocean is the centerpiece and picking an early morning time for your photography pays off as the low angle of the rising sun lights up the curl of the waves crashing onto the coast (as seen in the featured image). Long lenses and teleconverters get you right into the surf and a tripod with a gimbal head gives you ease of motion to frame your shot while taking the load off your arms from the heavier longer lenses. 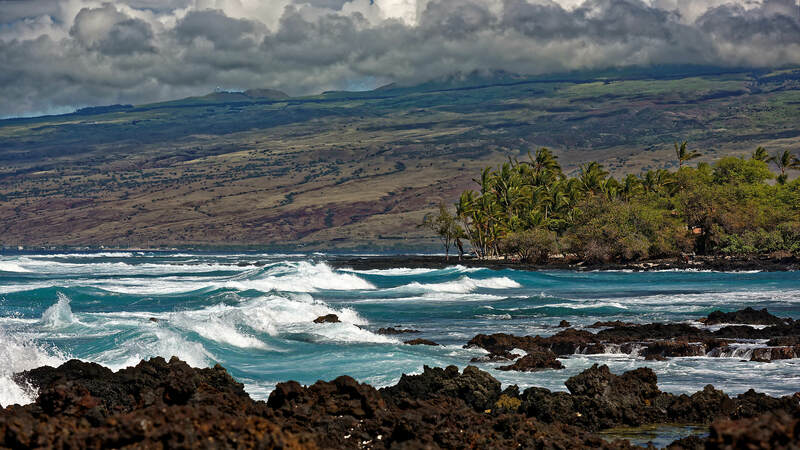 The surf, the palms, the rugged shore, and the gentle rising landscape all come together to capture the essence of this place in the next photo. Another great time for photography is after the surf settles down and the sun sets into the ocean, lighting the sky in bands of warm colours as captured in the final shot of the group.